Soho West: In July and August, we brought you earlylooks at City Winery, the giant two floor winery/music venue/restaurant/wine bar/bar mitzvah party palace from the founder of the Knitting Factory, Michael Dorf. Now in the first week of October, there is still some major construction work left to be done, but the build out is moving along. The stage and bar are almost complete, as is the staircase between the two floors and a raised VIP section. The most vital development, of course, is the arrival of the grapes. A few mornings a week truckloads of grapes arrive to be sorted, de-stemmed, and sent up the conveyor belt into the awaiting stainless steel tanks where they will ferment. Downstairs, the barrel room is filling up and will eventually hold 300 barrels of wine, next door to the private dining area. 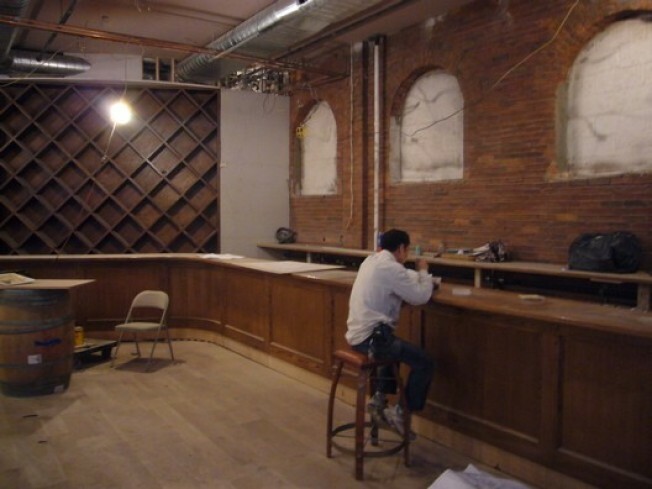 Click through for more details and a closer look at our first set of Phase 3 at City Winery.